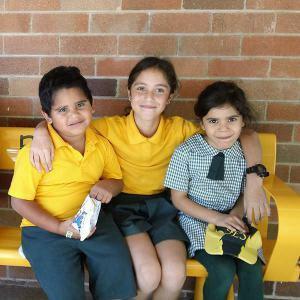 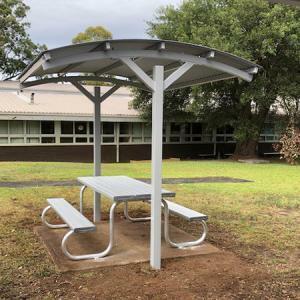 Charleville, located on the banks of the Warrego River in south western Queensland, is the largest town in the Murweh Shire, 683 kilometres west of Brisbane. 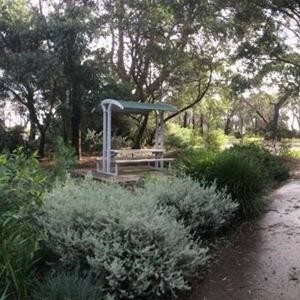 In a typically hot and sultry summer, temperatures can climb above 35 degrees. 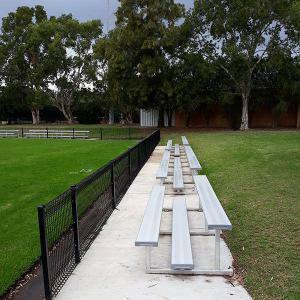 Despite having a moderate annual rainfall, the Warrego River has famously flooded on several occasions causing havoc among local citizens and community infrastructure. 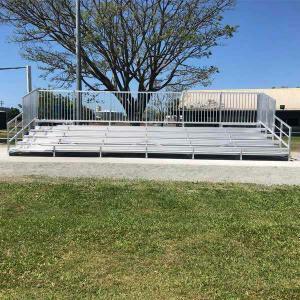 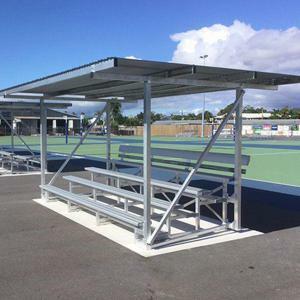 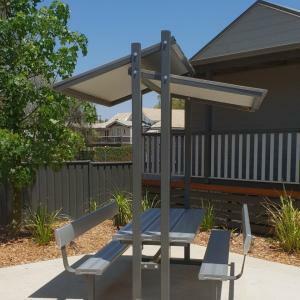 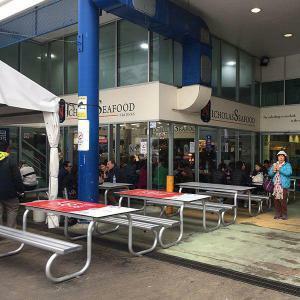 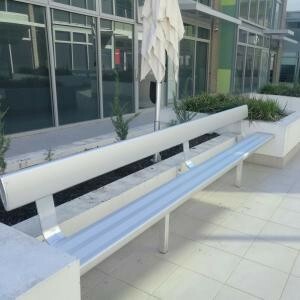 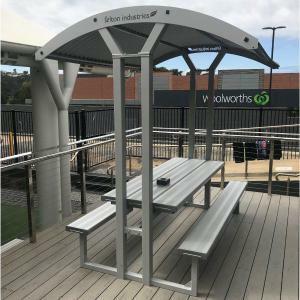 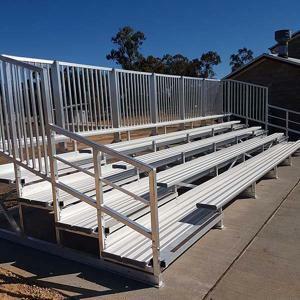 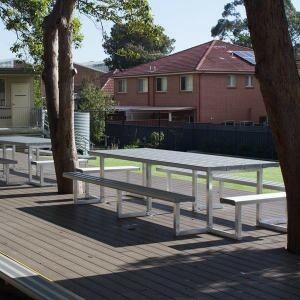 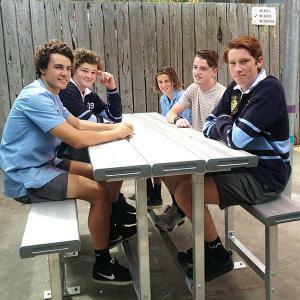 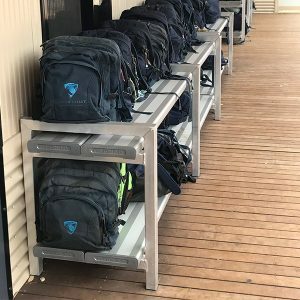 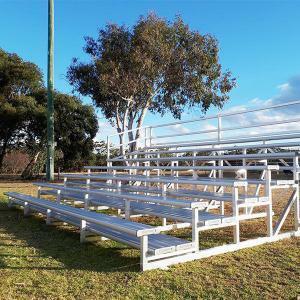 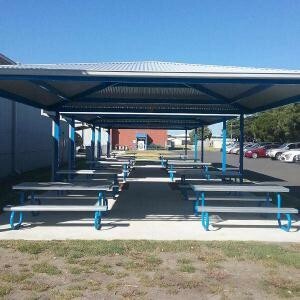 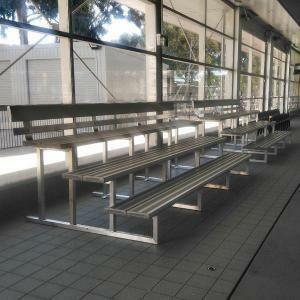 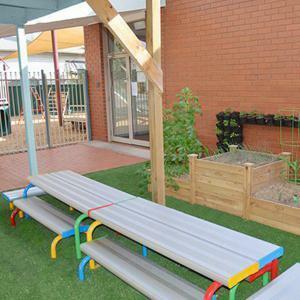 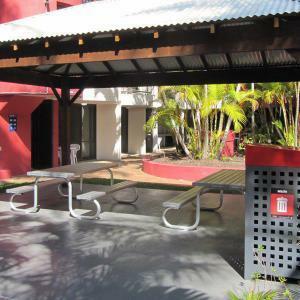 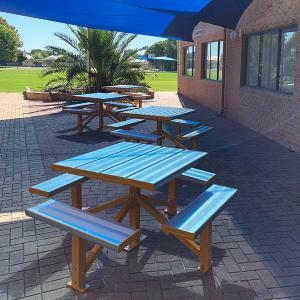 When the Murweh Shire Council embarked on an improvement program for two of the towns major parks, Graham Andrews Park and King Edward Park, a key consideration was the selection of outdoor furniture that would provide long term service in unpredictable conditions. 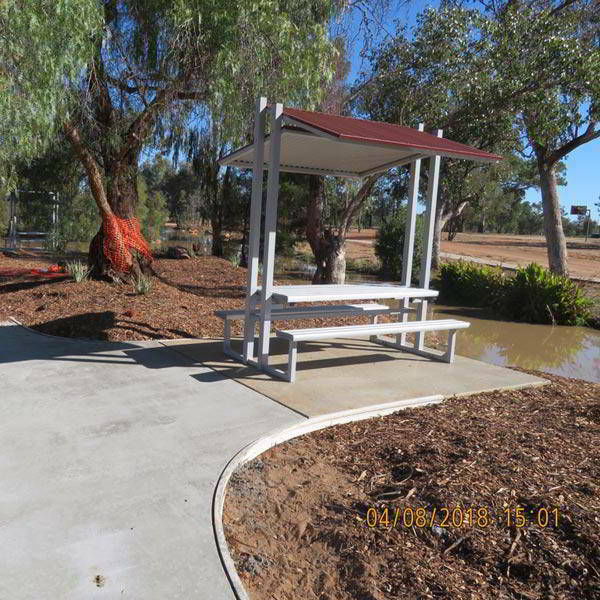 After consultation with the team at Felton Industries, the council selected an Eco-Trend Sheltered Park Setting for Graham Andrews Park and our classic Bolt Down Park Setting for King Edward Park. 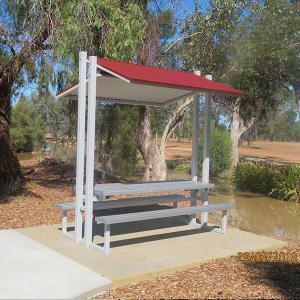 With the exception of the Eco-Trend’s Colorbond roof in Manor Red, both settings are constructed from Premium Australian aluminium. 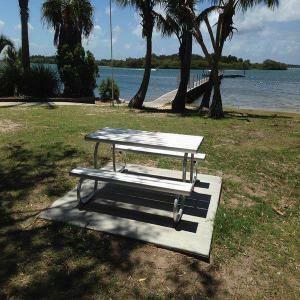 Lightweight, sturdy and extremely durable, these settings are engineered to withstand the harshest conditions with a minimum of maintenance and the marine-grade, anodized finish ensures that any unwanted artwork from local graffitists can be quickly and easily removed. Surrounded by trees, and just a few metres from a meandering waterway, the Eco-Trend Sheltered Park Setting looks right at home. 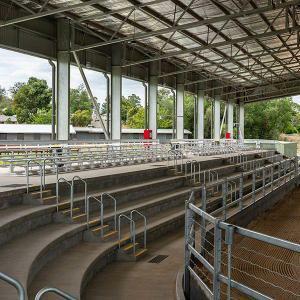 The deep, red Colorbond blends seamlessly with the russet tones of the surrounding red earth while the pitch of the corrugated panels embodies a classic, rural roofline. 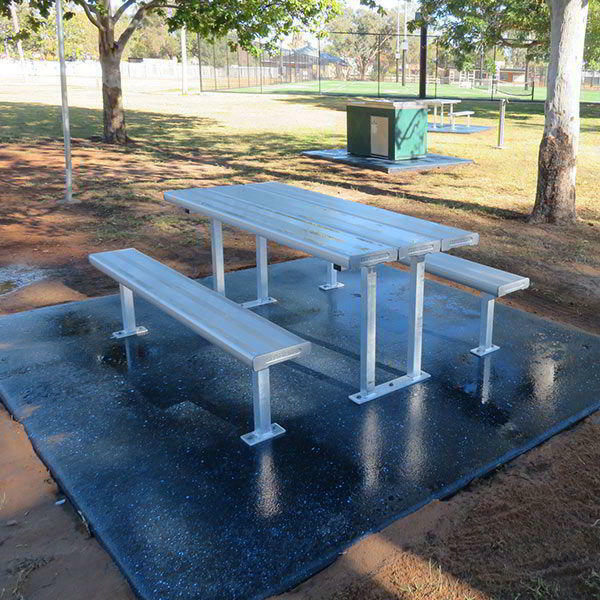 At King Edward Park, our Bolt Down Park Setting, provides an enduring place for rest and relaxation after a game of tennis, a few laps of the pool or a leisurely stroll. 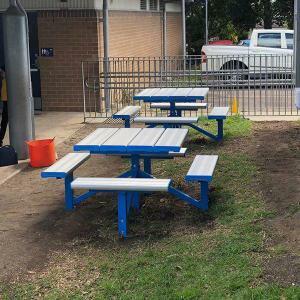 With both parks scheduled for further upgrades, we look forward to complementing the ongoing improvements with outdoor furniture that will look the part, and serve its purpose, for many years to come.